It was wonderful to see an outpouring of support for Conservancy last week at LCA 2016. A number of speakers highlighted Conservancy during their talks, Bradley Kuhn gave a talk about GPL compliance, we held a Supporter lunch (photo below), and both the conference organisers and the new Linux Australia President highlighted Conservancy in the conference closing. 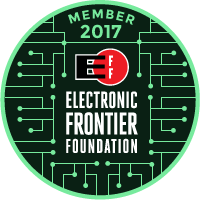 Software Freedom Conservancy is a tiny organisation doing amazing work to support the development of Free Software. They assist community free software projects with their administrative work (financial, legal, etc.) so that the developers can concentrate on making great software. Conservancy's member projects include BusyBox, Git, Inkscape, BusyBox, Mercurial, PyPy, Samba, Twisted and Wine.